On July 2014, we Setsuyo Enterprise Co., Ltd. presented FA-related products in the Taiwan Automation Intelligence and Robot Show held in Taipei. Then we went on to participate in Touch Taiwan 2014, which was held on August. Around 200 companies attended the Taiwan Automation Intelligence and Robot Show. With manufacturing automation as the main theme, robots, automation equipment, and other automation-related products were presented in the exhibit. 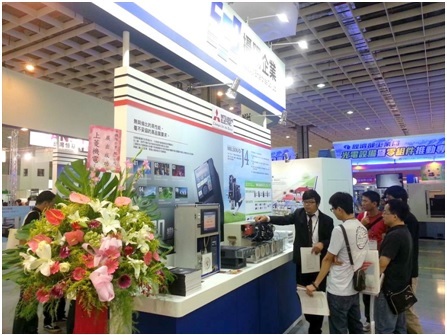 Touch Taiwan 2014 is a trade fair for touch panels, the most-watched products in the world, and its manufacturing equipment and components. Now on its 3rd year, the exhibit became a huge success as about 400 participating companies from Taiwan and abroad introduced their products and manufacturing equipment featuring next-generation technology. On the third consecutive year of participation, we introduced FA solutions (AC servo, inverters, graphic operation terminal (GOT) and its related partner products) through a joint exhibit with Mitsubishi Electric Taiwan Co., Ltd. Providing a clear and detailed presentation by fully utilizing the catalog and demo equipment, we received positive feedback from our main distributors. Through both exhibitions, we had the opportunity to promote Mitsubishi Electric FA-related products and service systems to many Taiwan-based manufacturers in the LCD, automotive, and robot industries. On April 14, 2014 Setsuyo Astec Corporation became a subsidiary company of the Mitsubishi Electric Corporation. Over the years, our sales in the Asian region have been focused on FA equipment, and power distribution and control equipment made by the Mitsubishi Electric Corporation. Since 1999, we have also contributed to business development as a member of the Mitsubishi Electric Group. Now we have become a subsidiary company of Mitsubishi Electric in order to further enhance its sales structure in the growing market. 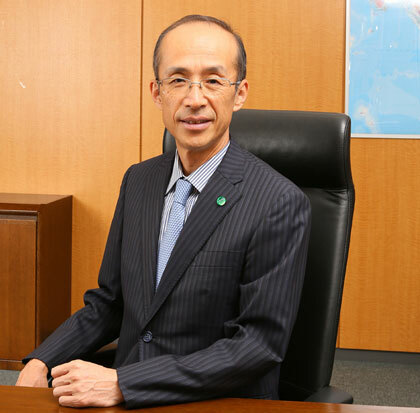 In addition, we would also like to announce the stepping down of President Tsutomu Shimizu and the appoint of Yukio Murata as our new President, effective as of April 14, 2014.